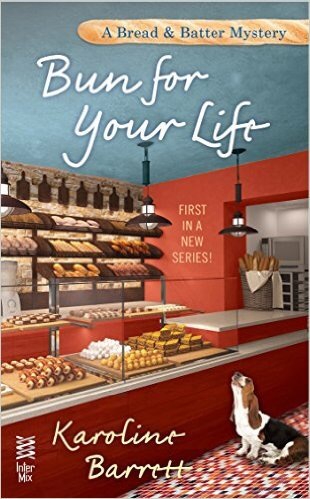 You know how I love KAROLINE BARRETT, and her first two books, Bun For Your Life and Raisin The Dead. We really weren’t promised her third book because of all the cuts in the cozy genre via Penguin even though she had been working really hard on getting it ready for us, her cozy mystery reading fans. Well, she has signed on with Summer Prescott Books Publishing and will be publishing book THREE in the near future! Oh my gosh, can you all believe this? How lucky are we? Family. It is something that if we are lucky enough to have a good one, we learn to cherish it. This tale of family, so beautifully woven by Natasha Yim, is one of hope, heartache and reunification. We follow Ling Yee, a new mother and wife, whose husband is lost at sea and is left to raise her child alone. All of the men except her Ching Yin return after the great storm. Does she give up hope? No, she continues to look for him, to hope he will come back home to be with his family once again. Is she grasping for something that will never happen or will the Heavens have favor on her and her small baby? For a children’s book to make me cry, the words have to be pretty powerful and the imagery pretty amazing. Between the well-laid words and beautiful illustrations of Pirkko Vainio, The Rock Maiden tells the most beautiful story of what it’s like to love without notions of time or space. I loved that no matter how much the people of the village discouraged Ling Yee, she kept looking for Ching Yin. She would not give up. She proved that love endures even the greatest of hardships. One morning, Ching Yin and the other fishermen set out as usual. They rowed out to sea in their small, wooden sampans. By mid-afternoon, lightning flashed and thunder rumbled. Rain fell from the sky in thick sheets. The sea beat its angry fists upon the shore. “It was impossible to see,” said one. she heard as a child. Natasha later moved to the U.S. where she received her B.A. in English Literature with a Writing Emphasis and an M.S. in Counseling Psychology from Dominican University. She is the author of Otto’s Rainy Day (a Kids’ Pick of the Lists selection), Cixi: The Dragon Empress, Sacajawea of the Shoshone, and Goldy Luck and the Three Pandas (a 2014 Junior Library Guild selection and 2015 Scholastic Book Club selection). Natasha’s non- fiction articles have also appeared in the children’s magazines, Highlights for Children, Appleseeds, and Faces. She is currently at work on a multicultural middle grade novel and a multicultural historical young adult novel. Natasha lives in Ukiah, California, with her husband, three children, and two cats named Chicken and Moo.